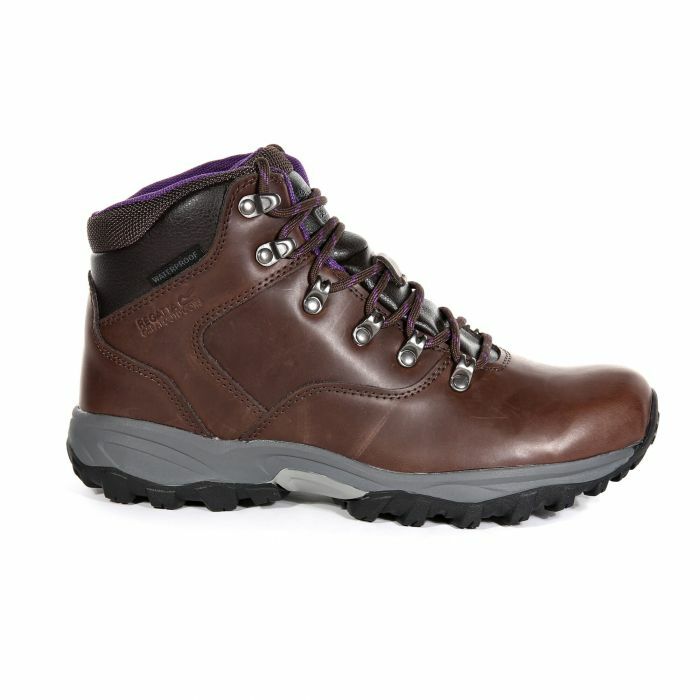 A classically styled hiking boot packed with protective features for all-day comfort on the fells. The Lady Bainsford utilises water-shedding Hydropel technology and a waterproof/breathable ISOTEX membrane to keep feet dry inside and out. Cut mid-height with a supportive ski hook fastening and deep padded collar. Our lightweight rubber sole with EVA shock pads minimise fatigue across uneven terrain. Weighs 450 grams.